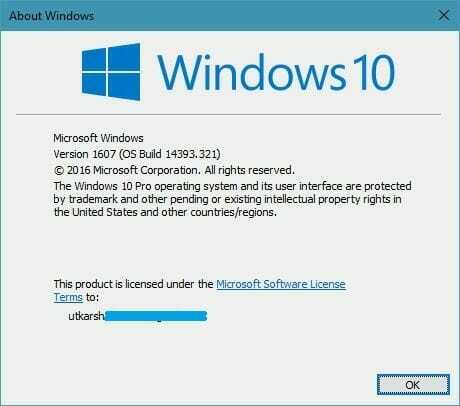 You can check the registered owner in Windows 10 by using the winver command. Search for winver in the start menu and open it. You will see the About Windows box showing you the Windows version, build number, and expiration date. On the bottom of this box, you can see a name or email account which is the registered owner of that PC. On my PC, I have signed up using the email account, so that shows up for me. Though there is no specific reason as to why you would ever want to edit the Registered owner of the PC is, there is a simple way you can do that. What you have to do is use the registry editor to edit the RegisteredOwner key of your PC. The key is present inside the Windows NT\CurrentVersion key. Continue with the steps on how you can do that on your PC. 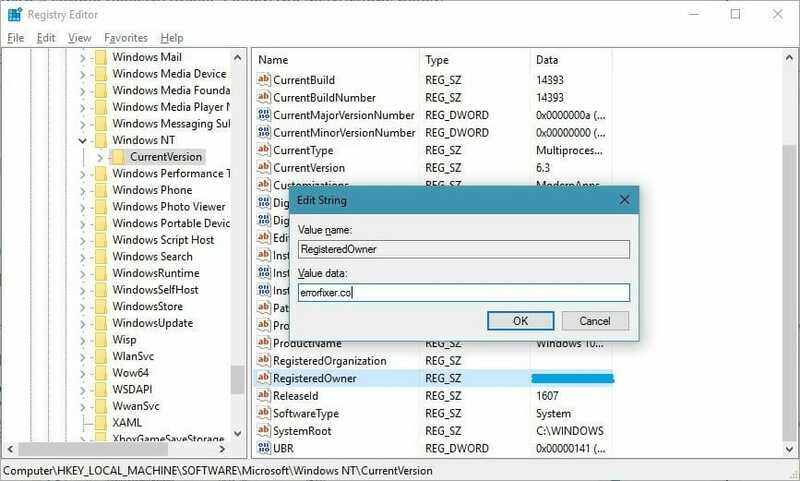 Search for regedit in the start menu search and open the Registry editor. Navigate to the HKEY_LOCAL_MACHINE\SOFTWARE\Microsoft\Windows NT\CurrentVersion key. Locate the RegisteredOwner String value and double-click on it. Change the value to whatever you want the About Windows box to show. Close the registry editor and open the About Windows box again using the winver command. This time, you will see the new value that you entered in the RegisteredOwner key. For these changes to show up on your computer, you don’t need to restart. There are some other values here that you can change like the RegisteredOrganization, time and date of installation. Of course, these values are in binary, so it will be a bit hard to tinker with them. One thing that you should remember here is that modifying the values like EditionID, CurrentType, and ProductId can result in messing up of your PC. You may then need to reactivate your PC because of that. So, don’t mess with them.